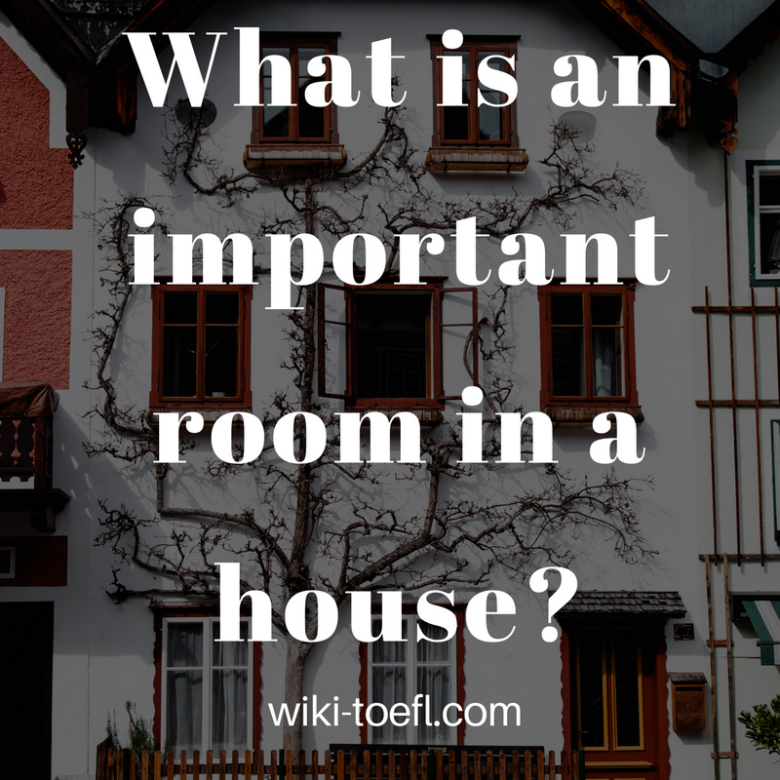 What is the most important room in a house? Why do you think so? Home Writing	What is the most important room in a house? Why do you think so? What do you consider to be the most important room in a house? Why is this room more important to you than any other room? The kitchen is my favorite room in a house, because it is where families gather. To me, that is the most important thing. So many of the memories people have of growing up revolve around the kitchen. My childhood memories concern the kitchens in my grandparents ‘homes. Do you think that different clothes influence the way people behave? Toefl ibt writing: What is the most important animal in your country ? My mother’s family lived in a row house in the city. The rooms were all small, and that included the kitchen. In the summertime, when we’d visit, the back door of the house would be left open. People would be sitting on the back porch and in the kitchen, talking and laughing, while my grandmother made dinner. There was no air-conditioning, but I don’t ever remember feeling too hot. There was always a breeze coming through, along with the sounds of traffic and kids playing ball in the street. My father’s family liver on a farm in the country, and their house had a huge kitchen with windows on three sides. It seems like the windows were always open and the curtains blowing with the breeze. The main door to the house was almost never used. Everyone came in through the kitchen, and sat at the big table in the middle of the room. When dinner was being prepared, all the women would bustle around, while the men sat at the table talking about farm prices. Sometimes my grandmother wouldn’t even sit down during dinner, but would be refilling bowls of food and people’s glasses. From outside ,we could hear the cows in the field near the house. These two kitchens are the background for some of my happiest memories. From the beginning of time, human beings have gathered together near the fire where the food was being prepared. I hope that never changes. Which is better: Be a member of a group or be the leader of the group? Toefl ibt writing: What important change you would make to your school?